Constitutional protections for the rights to freedom of association, expression and peaceful assembly are rarely respected by the Omani authorities. "Al-Maliki was arrested for posts on social media...criticizing Israeli President Benjamin Netanyahu's visit to Muscat in October and rejecting normalisation between Oman and Israel, as well as for his support for the Palestinian cause." Omani authorities have cracked down on online activists and bloggers as well as human rights defenders and journalists in recent months. Activists who were critical of the visit to Oman by Israeli President Benjamin Netanyahu in October 2018, and who wrote in defence of the Palestinian cause were specifically targeted, reports the Gulf Centre for Human Rights (GCHR). On 6th December 2018, the Internal Security Service (ISS) in Oman detained online activist and blogger Hatem Al-Maliki and held him incommunicado without access to a lawyer or his family. Al-Maliki who was summoned by the Special Division of the Omani Police Command in Sohar State, was detained upon his arrival for posts he published on social media criticising Israeli President Netanyahu’s visit to Muscat. He was released on 10th December 2018. Al-Maliki is a well-known activist who was previously arrested on 24th June 2012 and charged with "insulting the Sultan." He was released on 27th August 2012 on bail while his trial continued, until it was suspended after he received an amnesty from Sultan Qaboos in 2013. In other similar developments, activist Bader Al-Arimi was arrested on 19th December 2018 for his publications on social media networks, which included his defence of the Palestinian cause. He was detained for nearly a month and released on 17th January 2019. Similarly, on 30th December 2018, religious leader and activist Obeid bin Hashl Al-Hinai was arrested for supporting the civil and humanitarian rights of the Palestinian people and was released on 10th January 2019. Two other activists, Salem Al-Arimi and Uday Al-Omairi, who had been arrested in November for their online criticism of relations between Oman and Israel, were released on 6th December and 19th November 2018 respectively. 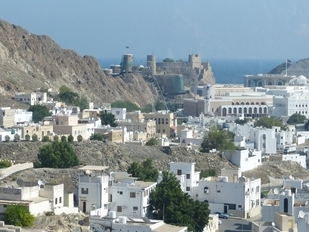 As previously reported on the CIVICUS Monitor, internet activist Salem Al-Arimi was arrested by the Special Division of the Omani Police Headquarters in Muscat after they summoned him because of his writings, which also called for reforms. In separate developments, in an article published in Al-Falaq titled I write in defense of my right! on 22nd January 2019, human rights lawyer and writer Basma Al-Keumy described the harassment she had been subjected to, since April 2018, as a result of her work in defence of human rights and her preference not to wear the hijab. Al-Keumy explained that she has regularly been subjected to harassment by the authorities, in contravention of the Omani constitution. The right to form and operate civil society organisations in Oman is governed by the Law on Associations, which requires all societies to register with and obtain the approval of the Ministry of Social Development. The right to form and operate civil society organisations in Oman is governed by the Law on Associations, which requires all societies to register with and obtain the approval of the Ministry of Social Development. Civil society organisations must also notify the minister 15 days in advanced of any meeting that they plan to hold. In a context where domestic funding for human rights work is virtually non-existent, NGOs and societies must also get ministerial approval before they receive foreign funding. Those who do not comply are considered to be in contravention of the law and are can be punished with up to six months in prison. Article 134 of the Penal Code bans 'the formation of associations, parties and organisations which are against the Sultanate’s statues or social and economic systems.' Individual human rights defenders are subject to frequent harassment, and intimidation, through tactics which include travel bans, persecution through the court system and arbitrary detention. The Omani Constitution guarantees individuals the right to freedom of peaceful assembly, however, the authorities have imposed numerous restrictions on individuals attempting to exercise this right. The Omani Constitution guarantees individuals the right to freedom of peaceful assembly, however the authorities have imposed numerous restrictions on individuals attempting to exercise this right. Article 137 of the Penal Code of Oman requires government approval for all public gatherings and imposes penalties on anyone participating “in a private gathering including at least 9 individuals with a view to commit a riot or a breach of public order”. In addition to bureaucratic restrictions, the authorities have also repressed peaceful demonstrations using excessive force. Protestors also regularly face arrest on the pretext that they are instigating violence and participating in a non-permitted gathering. Oman’s Basic Law guarantees freedom of expression while forbidding any publication that “leads to public discord, violates the security of the state or abuses a person’s dignity and his rights.” The legal framework is severely restricted. For example, the Press and Publications Law prohibits “publishing any item that could prejudice the behaviours and general ethics and divine religion” and the penal code criminalised publicly insulting or defaming the “Sultan’s rights or authority.” Journalists are often the subject of arbitrary arrests and detention. The government has the power to censor any material in local and foreign media and also exercise heavy control over the internet, by blocking controversial news and through monitoring social media and communications platforms.